Unlike the previous brand, which came in a jar, this one is packaged in a plastic bag, which, I have to say, I don’t like as much. The flavor of these is actually very nice (albeit with less of a ‘fermented’ aroma and taste as the jarred variety) and the texture is excellent. 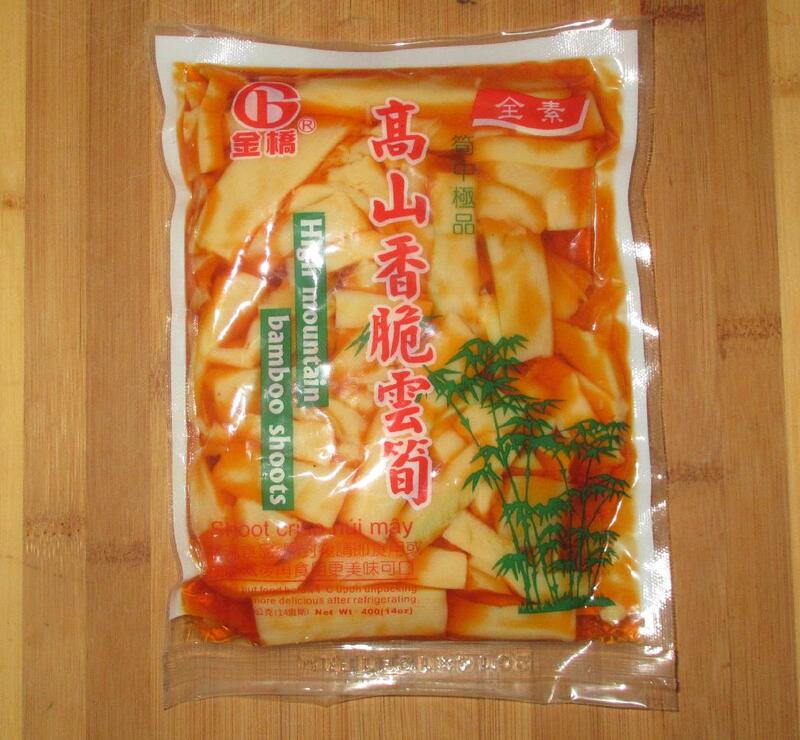 My only complaint, other than the packaging, is the fact that the strips of bamboo are cut very irregularly with some pieces being long, narrow and thick, and others very wide and thin. 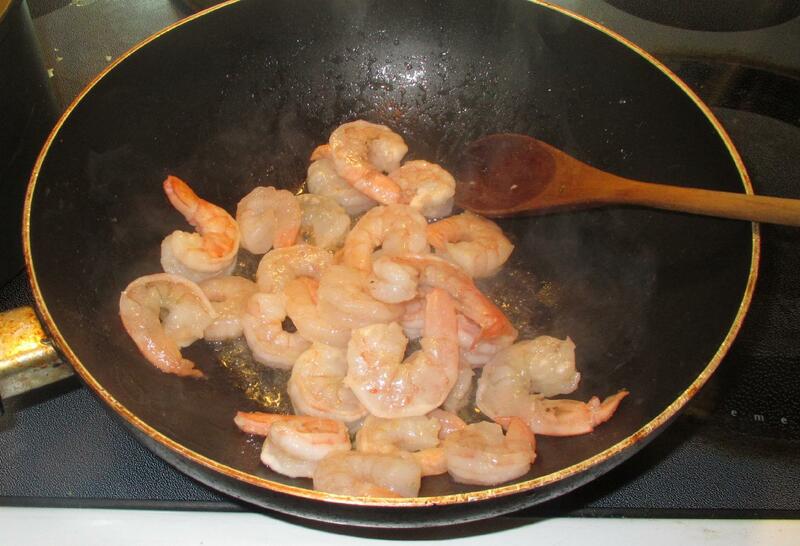 Heat a tablespoon or so of oil in a pan over moderate heat and briefly sauté the shrimp until they turn pink. Season with the salt and pepper and remove to a separate bowl. 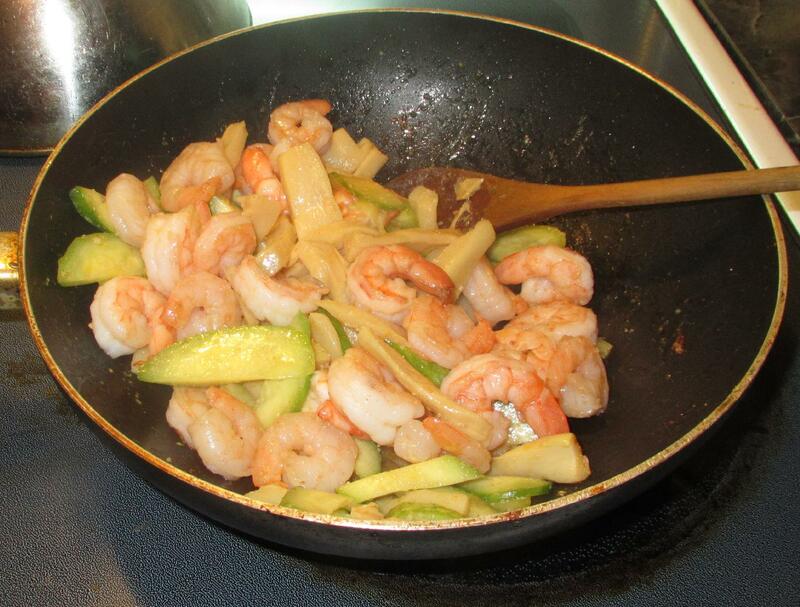 Add a little more oil to the pan, if necessary, and fry the garlic until the aroma arises and then add in the cumber slices. 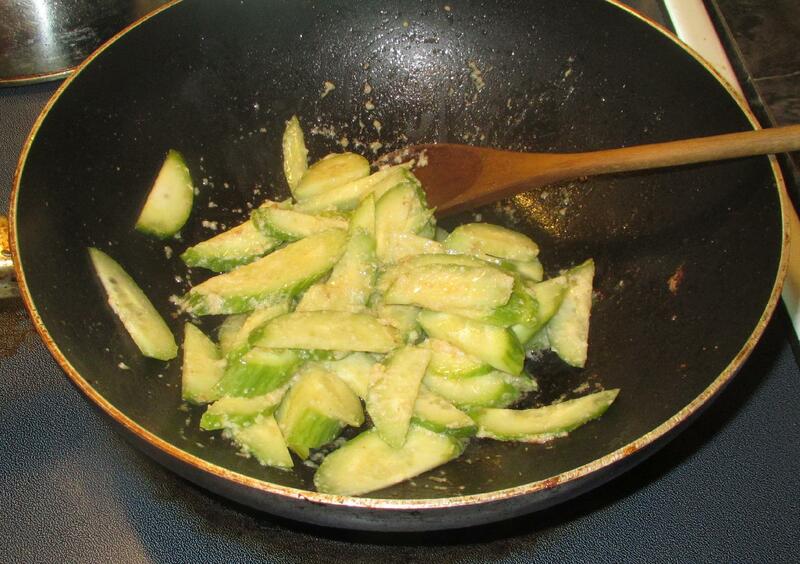 Stir in the sugar and sauté until the slices just begin to soften. 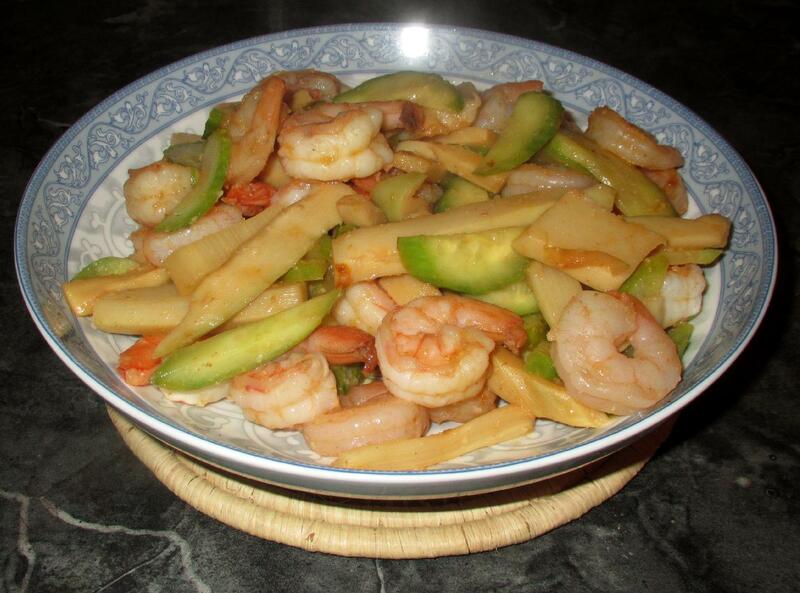 Nice and comforting chinese stir fry…..